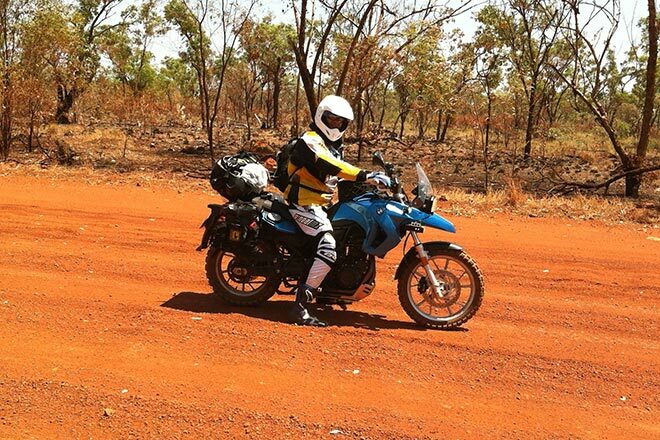 We see a lot of BMW 800GS's with good reason, they are very popular and very capable motorcycles. There are two basic versions: up to 2012 and 2013 on. 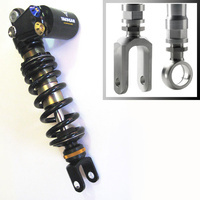 The difference is the forks; the early version runs Marzocchi, the late model has WP forks. 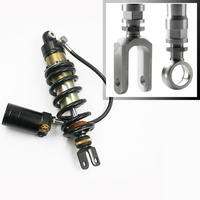 There is a common complaint in bending the top shock mounting bolt. 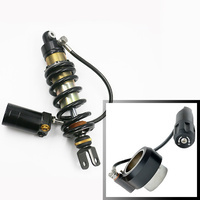 It's caused when the shock goes to a solid height, bottoming completely. 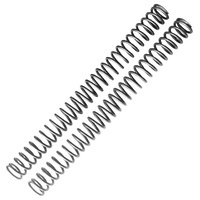 The solution is not a stiffer spring. 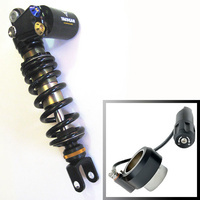 You either need the shock setting changed so it suits what you are doing, jumping the bike, or replace the shock with a piggyback or remote reservoir type. 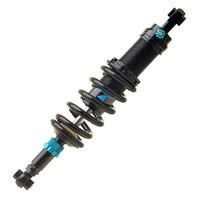 A non-reservoir shock will not fix the problem. 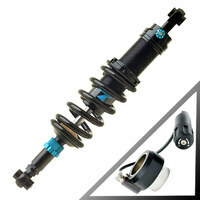 BMW switched to WP forks for 2013. While it's a good move as the internals can now be revalved, there are no external adjustments. 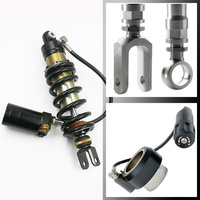 We can get the stock forks working very well if you can live without adjusters. 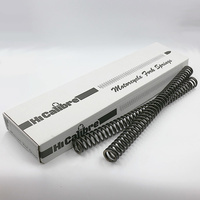 Stock springs are 0.54kg/mm, which are good for riders up to 110kg, but more rates are available in our 19-130 Series Fork Springs. Our most popular mod is revalving the stock WP cartridges and it produces great results. Every complaint from "too soft" to "too harsh" is addressed in our comprehensive, dyno verified revalve. The forks are really the bug bear of the BMW F800 motorcycle. 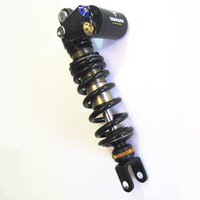 The stock forks are very soft - A later version had adjustable rebound but they are unchanged internally, spring rate or dampening. With most forks we can disassemble the cartridge and make changes (revalving). 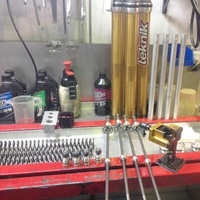 Unfortunately this is not the case with the Marzocchi fork as the cartridge tube is steel and peened over at the ends. Even if you destroy the tube to get it apart, what's inside is disappointing and not modifiable. Stiffer fork springs and heavier grade oil are a good cheap mod. Not a perfect answer but better than stock. 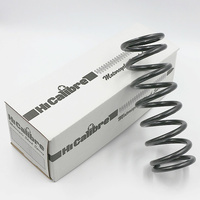 Stock springs are 0.48kg/mm, we have rates from 0.44 to 0.85kg/mm in our 19-145 Series Fork Springs. 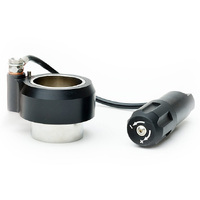 Since Marzocchi went bust in 2015 the parts are too hard to get and too old to make this conversion viable. We used take a set of Marzocchi Shiver MX or Offroad Forks with compression and rebound adjustment and graft them into the GS fork. 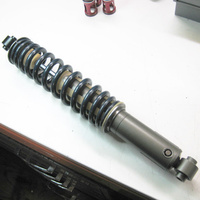 It required complete revalving and machining the axle feet feet for the compression adjuster too, and lacked an external spring preload adjuster. The Andreani Cartridge Kit is almost as good and much easier and cheaper, and it's what we'd recommend instead. 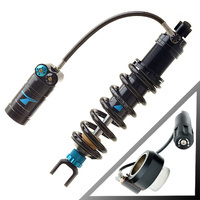 Bitubo BMW Marzocchi Fork Cartridge Kit. 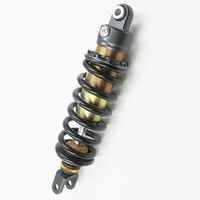 This is a drop in kit including springs. They don't stand up to much off road use. There is an ADVRider thread about them HERE. We can service and modify the Bitubo units to make them more reliable. It seems Bitubo didn't do much durability testing. Compression one leg, rebound the other. 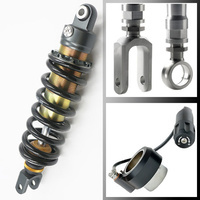 Adjustable spring preload. Well made and comes with springs. 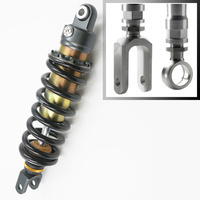 Essentially all the F800GS models use the same Sachs rear shock which has a history of bending it's top mounting bolts when it goes to a solid height, bottoming out. MSC/Rallymoto/Adventure Moto sell a nice alloy brace, but we have still seen bolts bend with the brace in place. There is just too much unsupported bolt, however if you don't jump the bike, chances are you will never bend a bolt. But people like to load it up with heaps of gear and give it hell and the bolt cops all that extra energy. 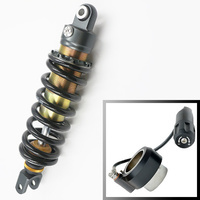 The easiest way to prevent all this is by getting the dampening and spring rate of the shock right for the rider, stopping the shock from bottoming in the first place. 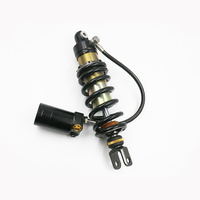 We can modify the stock shock with excellent results, modifying it into a rebuildable unit that can be serviced easier in the future. It doesn't have adjustability, but you only need one setting: the right one! Our dyno gets it right every time. 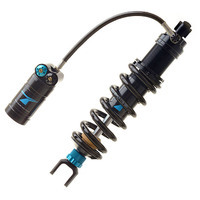 If you really must have clickers and all the bells and whistles, we also offer a range of Yacugar and TFX replacement shocks.